You are bidding on (1) Grey Goose rocks glass that are from 1 liter Grey Goose bottle. 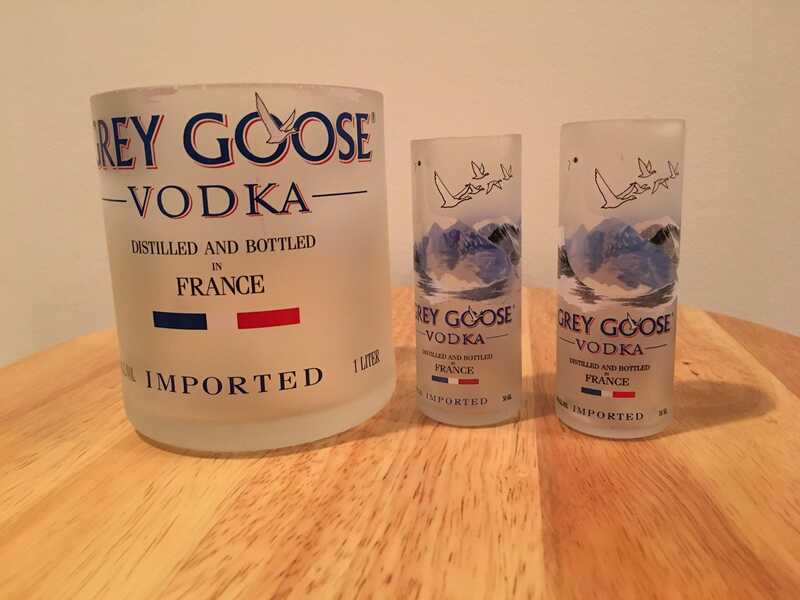 Also included are (2) Grey Goose shot glasses made from 50ml bottles. Great for any Grey Goose fan. Glasses come from a smoke free home.